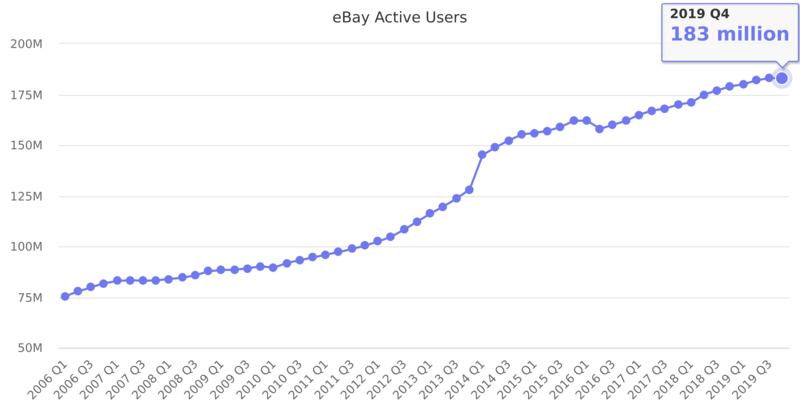 All users who bid on, bought, listed or sold an item within the previous 12-month period. Users may register more than once, and as a result, may have more than one account. All buyers who successfully closed a transaction on our Marketplace and StubHub platforms within the previous 12-month period. Buyers may register more than once, and as a result, may have more than one account. Last reported quarter 2018 Q4 it was 179 million, up by 5% year-over-year from 170 million.